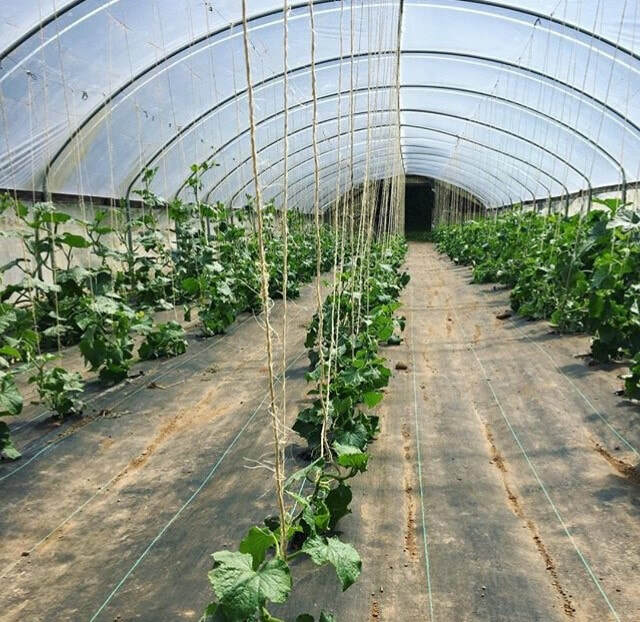 In addition to installing solar arrays on a variety of homes and businesses in Oregon and SW Washington, we at Synchro Solar are also quite passionate about solarizing farms. 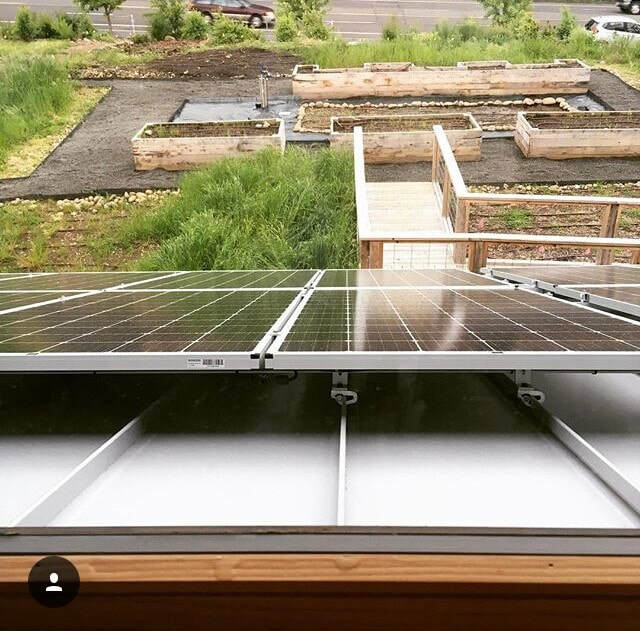 Last year, at a local nonprofit farm in the heart of SE Portland, we installed a 16.56 kW array using 48 SolarWorld 345- watt modules. 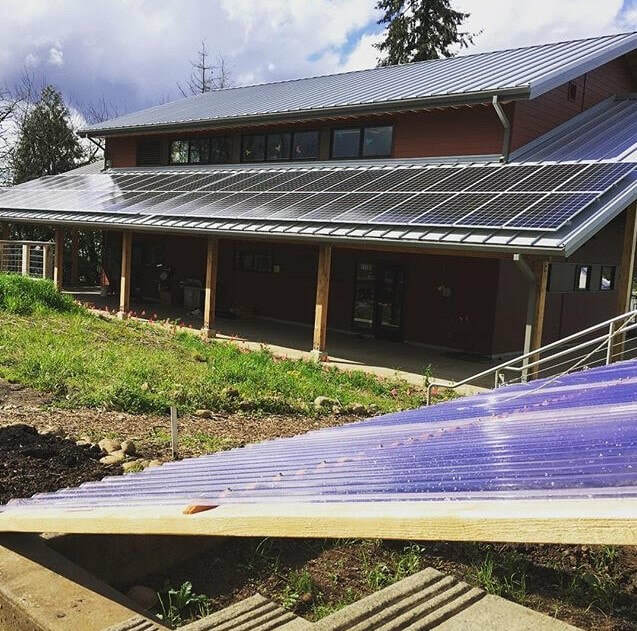 While we love solar and are happy to see *any *and *all *systems go up, we were especially excited about this project at Zenger Farm. Zenger Farm is unique and holds a special place in society. 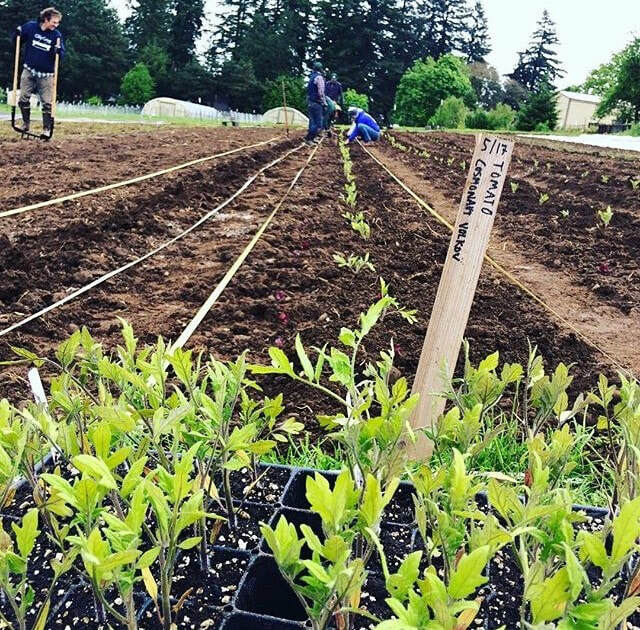 While they have many of the farm accouterments that one might expect -- garden plots, wheelbarrows, chickens and compost -- Zenger goes above and beyond what one would normally expect of a traditional farm, adding a deeper and wider dimension to the field of farming. The solar energy they harness goes far beyond lighting and heating -- one could venture to say that their panels are energizing food access, stewardship and social justice. community development and access to good food for all, going far beyond simple provision. own pace, and create opportunities for integration, so students can make new connections. 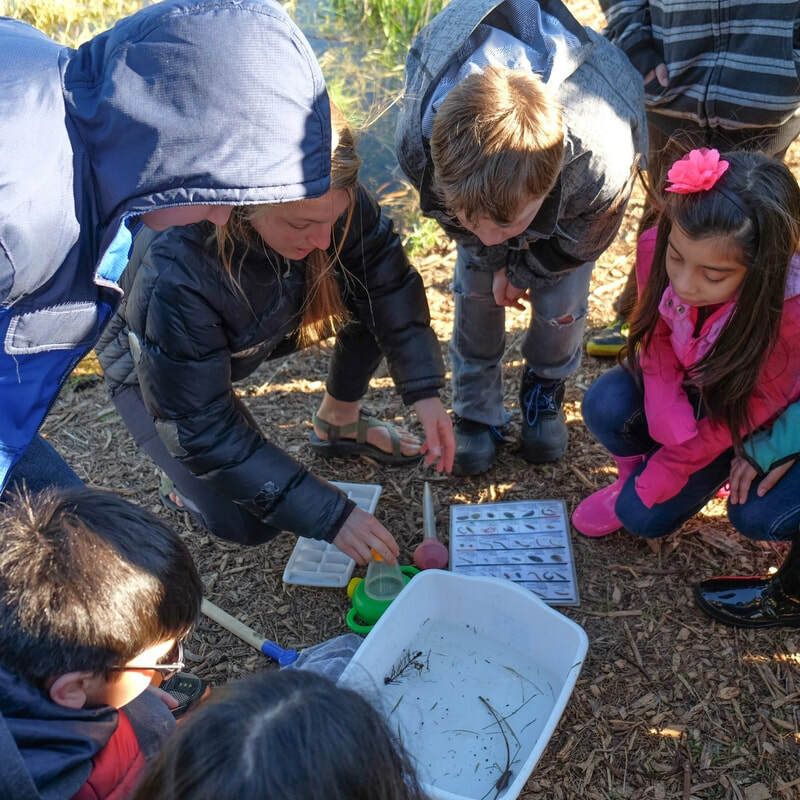 Additional opportunities abound for students over spring and summer breaks, providing options to make nature-inspired crafts, explore the wetlands, dig in the garden beds, and cook from the fields. Spring Break campers, K-6, can choose to attend all week or for individual days, while summer campers, K-9th grade, have programs ranging from ‘Wild Craft’ to ‘Junior Chef’, running June through August. Community Supported Agriculture (CSA) is a great option, and even comes complete with a long list of shared recipes. independence from that which repels interdependence. What we do now makes a difference: the solar we install, the communities we support, the youth whom we educate. The way we support each other and the earth on which we live, pays dividends and beyond to those who need them when they’re needed most. Thank you, Zenger Farm, for taking on what really matters. Project Manager Leif Rhoades has spent the last decade investing his time in renewable energy. In college he started out studying Environmental Science, his passion, and soon saw the intrinsic link between economic structures and environmental stewardship. Recognizing that with the proper foresight positive environmental and financial gains do not need to be mutually exclusive, he decided to add another major in Economics. He has since used this background to develop cost-efficient solar energy projects across the Pacific North West. "I started to see how many of the environmental issues we face are due to the exclusion of biological cost accounting from industrial development." says Leif. "I wanted to better understand the intersection between responsible practices, both financial and environmental, and help develop practices that better account for the real cost of doing business"
"And then the question started to be "how can we afford to live these energy intensive lifestyles without taking the consequences of our consumption into consideration? We can&apos;t binge-watch Netflix in our 70 degree homes all winter long without thinking about where that electricity and heat came from." "I found myself wanting to help others, including myself, to have a closer connection to their energy source". 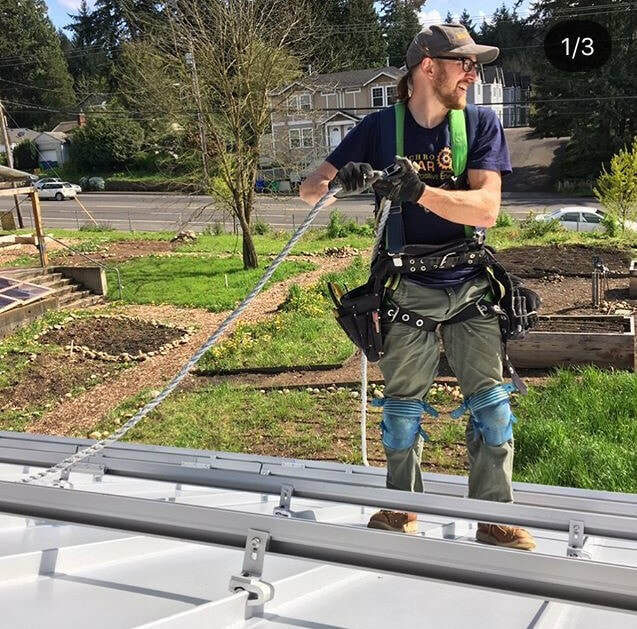 A few years later, he graduated and moved to Portland, a historically solar-friendly city, and began looking around for potential opportunities to get his foot in the door of an industry that had captivated him. "I had heard about these networking events for solar folks in Portland, Solar Drinks, which combines two of my favorite things: cocktails and solar energy, so of course I went". There he met three of Synchro Solar&apos;s owners, Sarah Freel, Jeni Hall, and Brion Wickstrom. 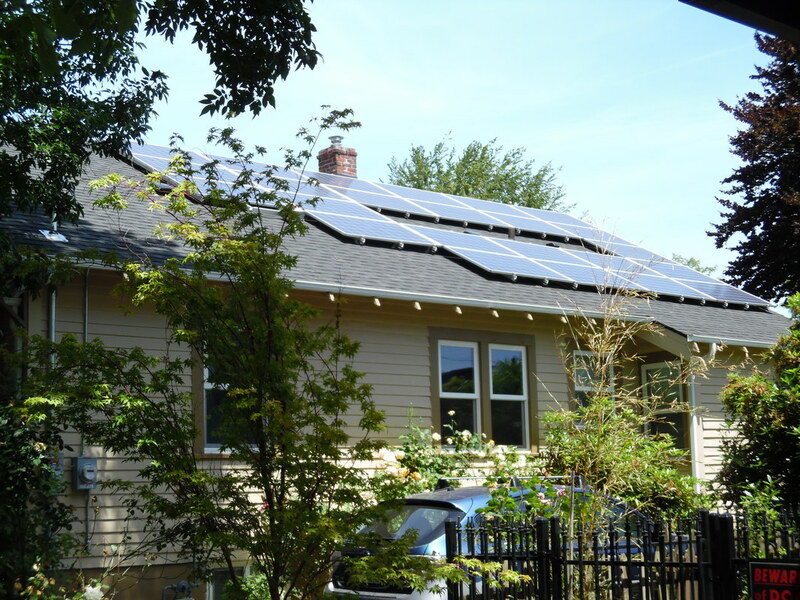 (Jeni has since moved on to work for the Energy Trust of Oregon and Sarah now works at SolarWorld). Leif&apos;s friendly attitude and obvious passion for sustainability landed him a position at Synchro, where he&apos;s grown into one of Portland&apos;s youngest Solar Project Managers. "At Synchro we have this amazing team of people who are motivated to making this a better industry and a better world. As a small company we are able to form relationships with our clients. It&apos;s not just numbers or projects, it&apos;s people. Brion, the owner, is passionately dedicated to this work, so it&apos;s been awesome to learn from him and his years of experience." "We don&apos;t do cookie-cutter. When looking at a new project we start fresh. Our goal is to design each project for the specific property and the owner&apos;s needs. It&apos;s a team-based approach too, so we have all of these great minds coming together to make each system the best that we can. ​I started my solar career in 2004 at Mr. Sun Solar. I had been interested in solar for a long time and was intrigued by the energy independence it had to offer. I was working random jobs while pursuing the inside electrical apprenticeship program. On the way to my job at the time, as a mover, I drove by Mr. Sun’s office every day. One day without thinking about it I turned my head in the direction of the Mr Sun office and not even sure what Mr. Sun meant, I decided to stop the van and go inside. I ended up starting my first day of work with Mr. Sun about two weeks later. I showed up for my first day at what was known as the “old shop”, I think it’s now the old old old shop. I was excited to work my first day in solar! I spent the next six months of my solar career replacing a sidewalk, remodeling a bathroom at an apartment connected to the shop and fixing up John’s (Mr. Sun’s owner) house.